Before my son was born, I read the book “The Baby Whisperer” to prepare for his arrival. Because it was pre-kids, I took my time reading it and even took notes. Let me just say: I don’t get to read much these days, and when I do, I definitely don’t have the time to jot things down! In any case, it was a great resource, as it outlined lots of information to prepare for and manage a new baby. 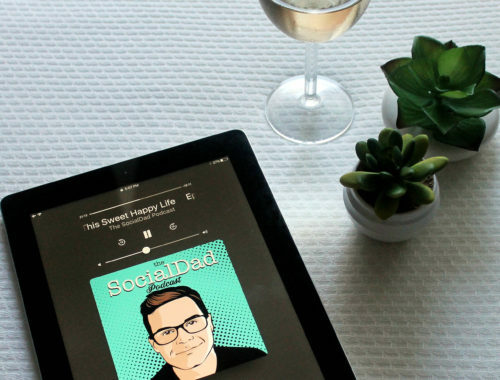 Of course, I found out pretty quickly that nothing is better than experience and learning as you go, but it had some great parenting tips nonetheless. The book referenced the E.A.S.Y. routine (Eat, Activity, Sleep, and You Time), with suggestions to be successful in all these areas when dealing with the baby. One of the best ideas offered up was relating to babies and their eyesight. 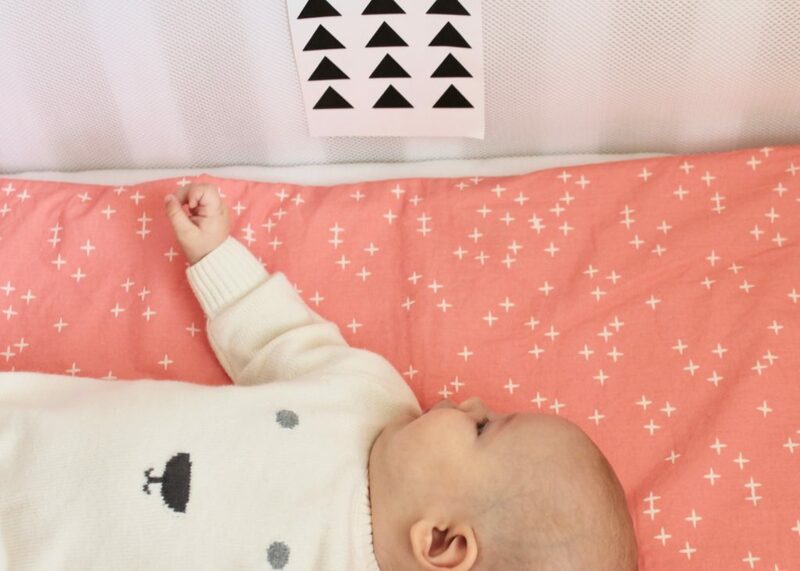 I read that from birth, babies can see high contrast black and white patterns. 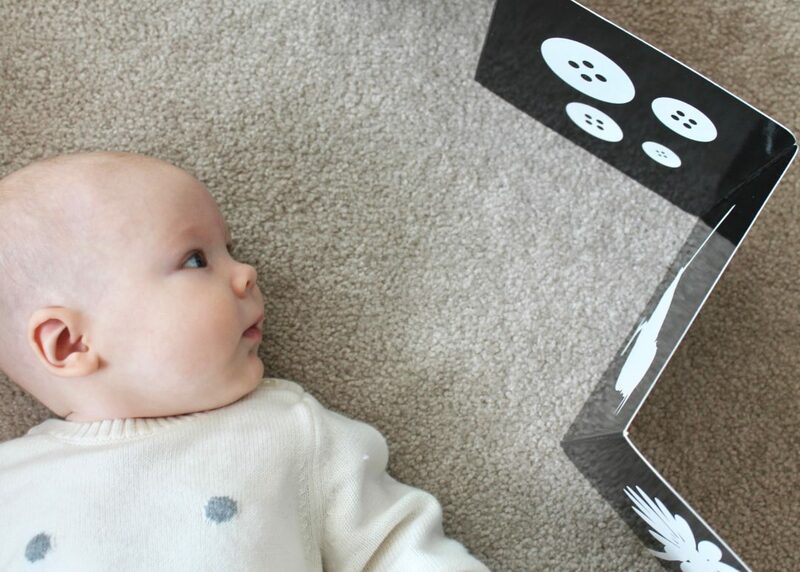 Research has shown that viewing such images can strengthen a baby’s vision, hold their attention, and allow them to rest their mind among all the new things they are processing on a daily basis. In fact, until six months of age, babies respond best to bold colors and pictures. 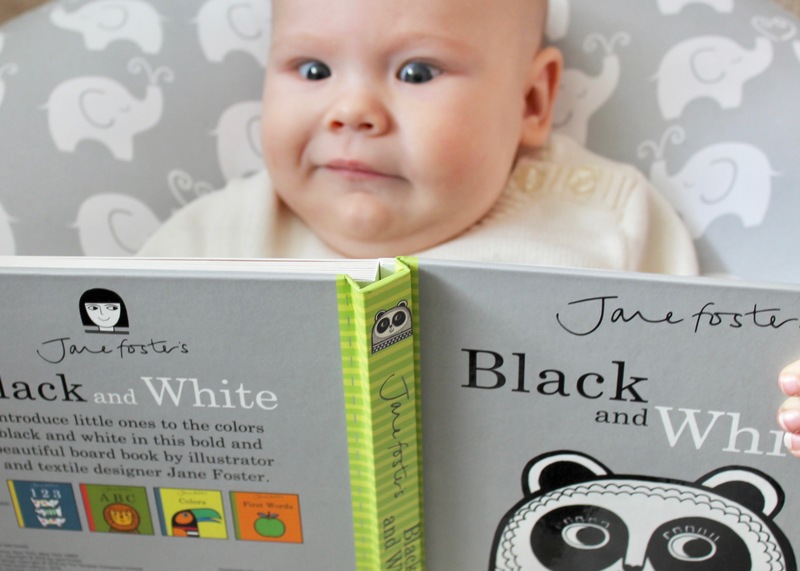 My friend recently had a baby, and I gifted her a couple black and white books, knowing how well they worked for my kids. I thought I would share which ones I found in case you are expecting or know someone that is. The first is from Tana Hoban and is simply called “Black & White“. 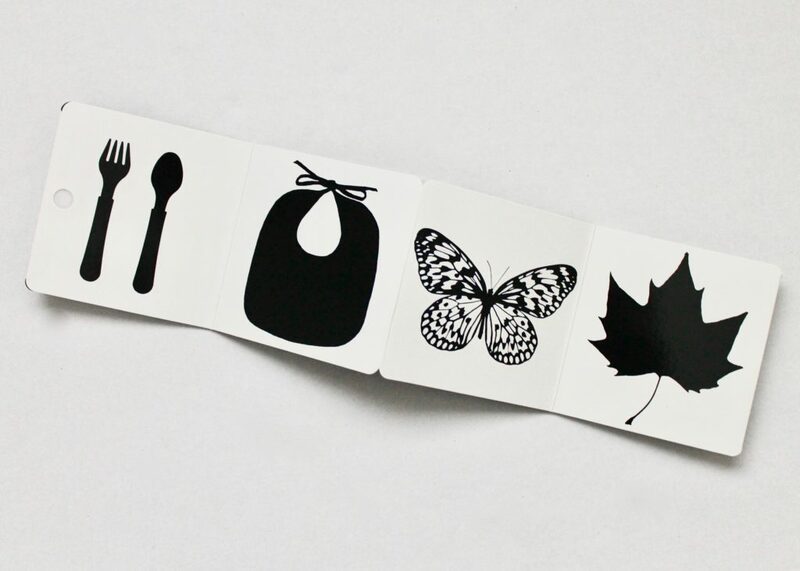 This fold out board book has a handful of black and white images and is the perfect choice for a new baby as it can be laid out beside them to explore. 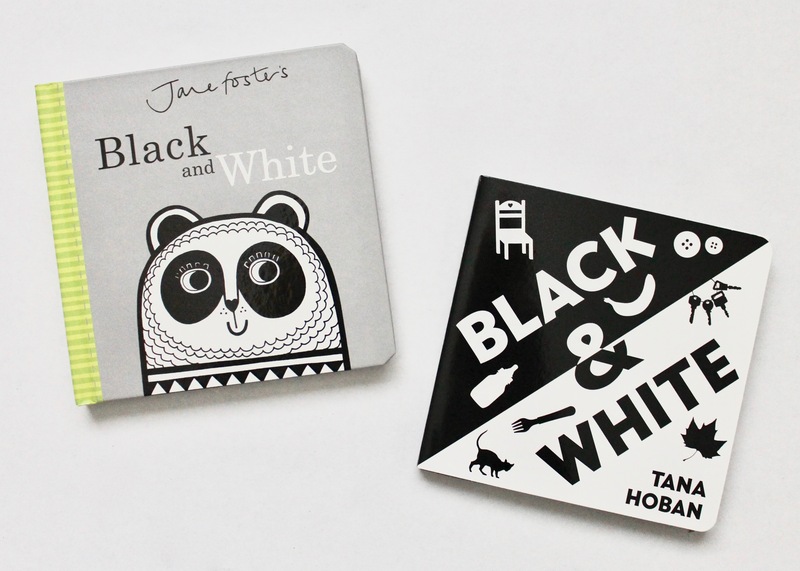 The other, also aptly named “Black and White” by Jane Foster, is simply adorable. 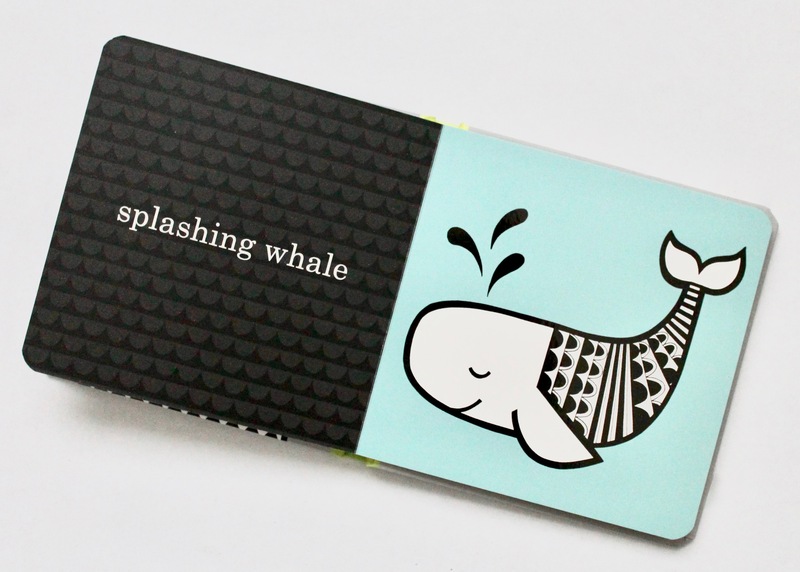 Also a board book, each page has an cute animal illustration and name listed. 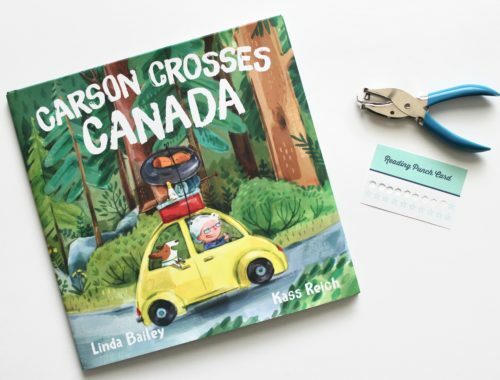 What I like about this book is that it can be enjoyed beyond just the baby years. In case you don’t have time to hit up a bookstore or place an order online, I have created some free black and white printables. 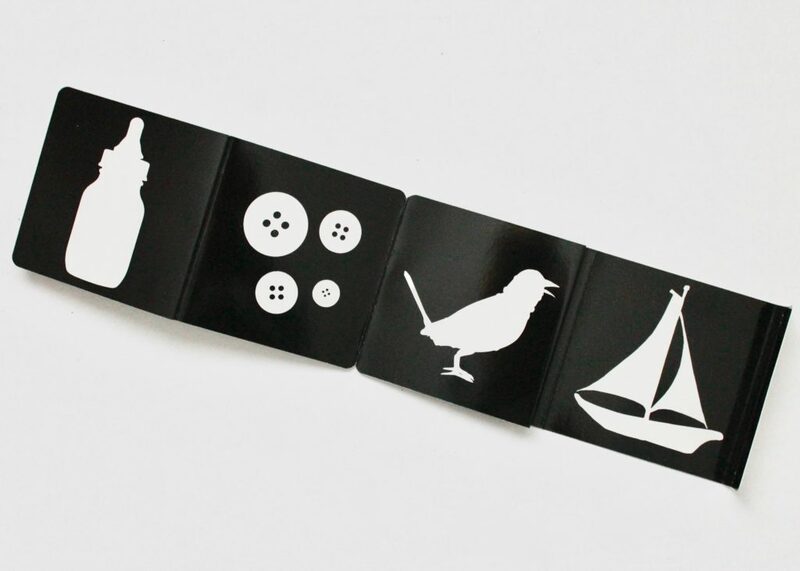 Simply click below twice, print them off on heavy paper or card stock, and cut around the dotted lines. Then place them within the baby’s eyesight. I used to put them on the side of the crib, on their mobile, or attach them to the back seat of the car to look at when we were driving. It really does hold their attention for an extended time! For safety, keep in mind these are meant for viewing and babies shouldn’t be left unattended with them once they begin to move. 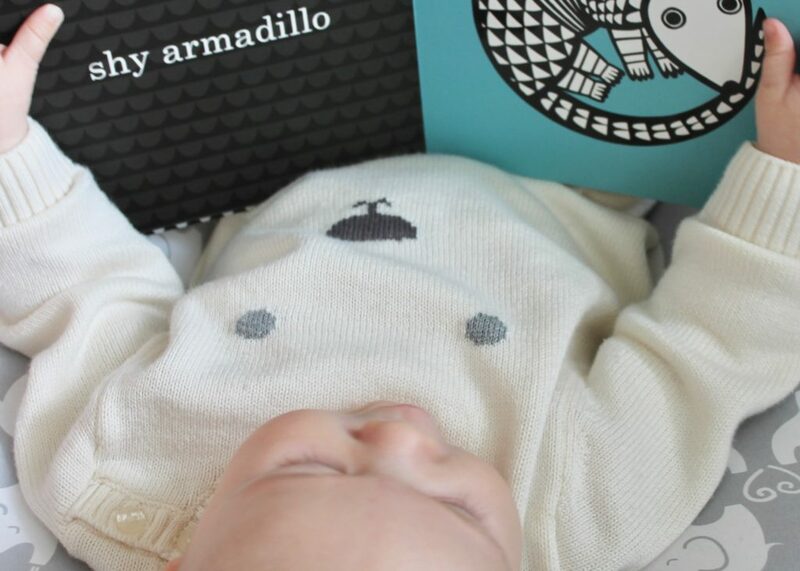 So encourage baby development and pick up these books, or make use of these cards! 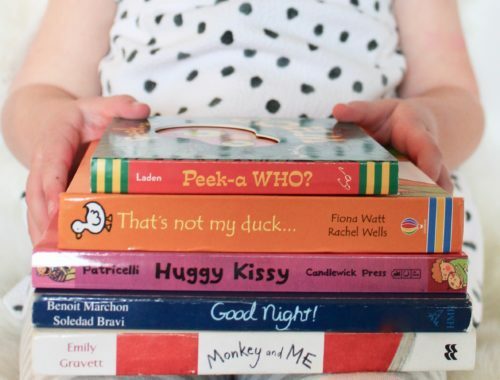 Stay tuned next month for another post with my favorite toddler books that encourage early literacy. *Please note this article has affiliate links.